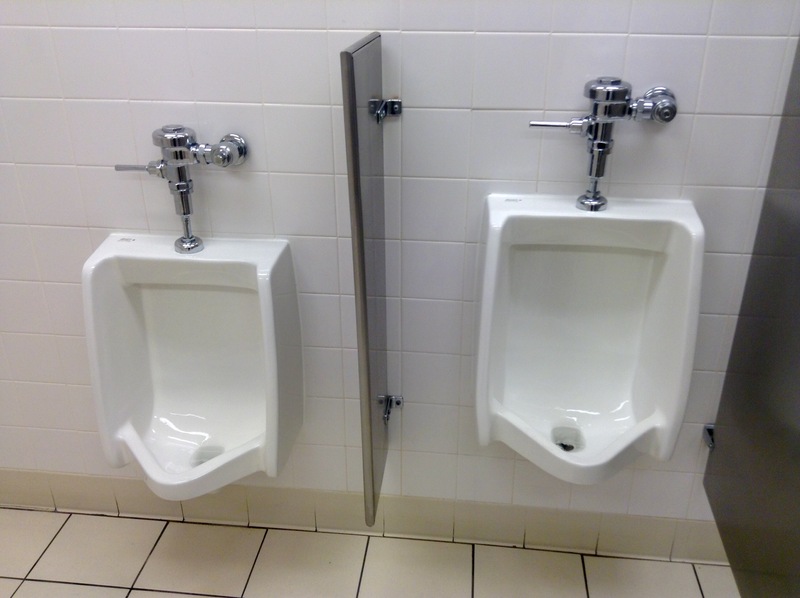 If you are a male who pees in urinals, your relationship with urine is likely an amicable one. You don’t have to worry about sleeping with hot urine-filled bottles to stay warm, like some scientists. You don’t have to figure out how to drink urine, like astronauts. But the relationship isn’t perfect: If you’re peeing into a classic porcelain urinal, you’re also at risk of being splash-zoned. Luckily, a team of University of Oxford researchers is about to change that. They’re working towards making sure you’re never sprayed by urine again. In a recent article in the journal Physical Review Letters, they explain that it’s harder for liquids to splash on soft surfaces. For the urinals of the future to not splash back, they’ll need to be made of silicone. In trials led by engineering fluid dynamics expert Alfonso Castrejón-Pita, Ph.D., the researchers set out to systematically test what happens when liquid hits soft substrates. They dropped ethanol droplets onto silicone-based materials and filmed the impact with a high-speed camera, allowing them to study its “splashing dynamics.” When that data was plugged into theoretical modeling and computer simulations, they found that the soft material could suppress splashing within the first 30 microseconds of liquid impact. In the future of urinals, splashback is obsolete. The key to shrinking the splash zone is the fact that silicone is a soft material that is still stiff. Silicone coatings, they note, could provide “all-around splash protection.” The expansion of soft materials research also means that new materials that can be explored in the same way will be created soon. It’s probable that one day, our toilets could be made from the same material as the “muscle” of a robot. Such a future would be more than just splash-free urinals; the researchers hope to apply it other situations where “dangerous” or “nasty” fluids are used.